Welcome to the Green Room! Thespis In The Green Room is a podcast from the Upstate of South Carolina covering local, national, and international topics in theatre, performing arts, and the business of show. 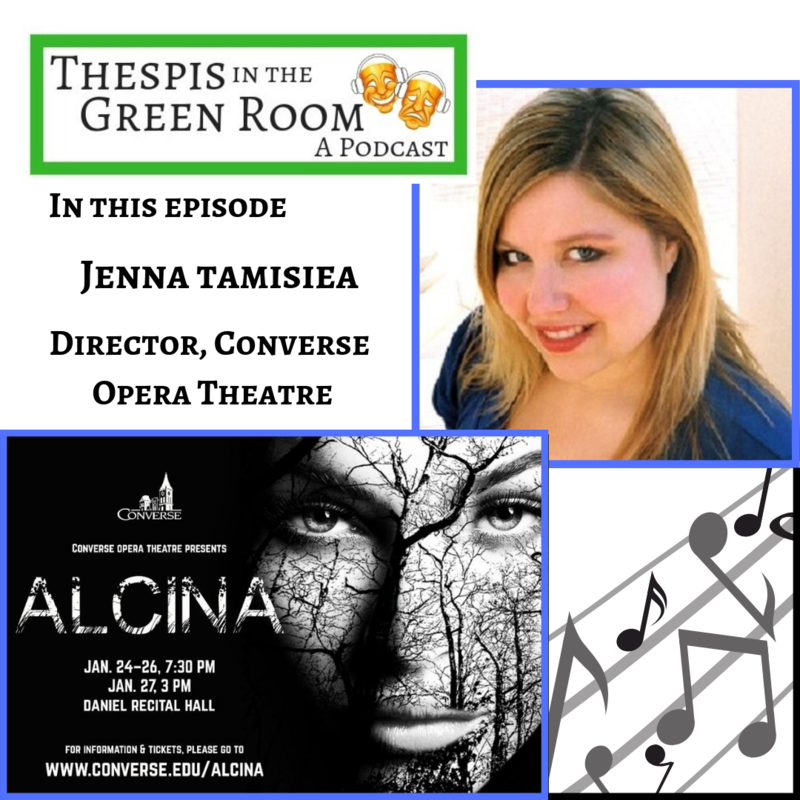 Melanie talks with Jenna Tamisiea, Director of Converse Opera Theatre and the program's production of Handel's Alcina. Jenna also gives us a glimpse of the upcoming season at GLOW Lyric Theatre, where she is Artistic Director. Plus, show listings for the Upstate of SC. © Copyright © 2018 Courageous Crossings Productions, LLC. - All Rights Reserved.